Looking for something to do with the kids? April is full of theatre and performing arts in Calgary – there are all kinds of great shows and musical performances to enjoy with the whole family, plus Calgary’s usual selection of great festivals, trade shows, and more! Local and national exhibitors will showcase the latest in technology, apparel, furniture, products and toys. Interactive workshops and seminars from leading authorities will be available to provide you with insight and presentations. Parented play areas, arts & crafts, and entertainment for the whole family! For more information, to purchase tickets online and save, and to download the show guide, visit the website. This will be a foot-stomping, toe-tapping afternoon full of good old-time fiddle music! To purchase tickets, visit the website. Meet & Eat at the Square is back! We are bringing the most delicious Food Trucks in Calgary to Strathcona Square for Spring & Summer! Food Trucks will be on site every Wednesday & Saturday, May through June from 11:30am-2:00pm. Calgary’s culinary travelling cuisine offer ethnic, styles, pricing and flavors that you have to come experience for yourself. Come to Strathcona Square every Wednesday & Saturday, May through June, to expand your tastebuds with some of Calgary’s BEST Food Trucks! Enjoy interactive agriculture activities including cow milking, sheep shearing, livestock auctioneering, an amazing corn maze and meet a variety of farm animals and more! For more information, visit the website. Shows are on Saturdays at 1pm and on Sundays at 1pm & 3pm. Loose Theatre For Kids Presents, Sherlock Junior. To purchase tickets and for more information, call 403-265-5682 or visit the website. Bert Church Live Theatre in Airdrie Presents, DuffleBag Theatre: The 3 Musketeers. Actors retell the original adaptations of select fairy tales and Shakespearean classics with humor and a twist! To purchase tickets, visit the website. The Calgary Performing Arts Festival is one of the largest performing arts events in Calgary, and one of the largest amateur competitive festivals in North America! For more information, performance times and to purchase tickets, visit the website. StoryBook is excited to be bringing everyone’s favorite bedtime book vibrantly alive on stage in a full-length new musical. Watch as Bunny’s room magically comes alive as he dances and sings his way to sweet dreams through nursery rhyme scenes with dancing bears with chairs, the Cat and the Fiddle, the Cow Jumping Over the Moon and even a trip through the night sky with dancing constellations. Recommended for ages 3 and up. For more information and to purchase tickets, visit the website. You do not want to miss Calgary’s largest sale of quality-used kids clothes, toys and gear! Arrive early for the best selection! This entry was posted in Uncategorized on March 29, 2016 by Calgary's Child. March 22, 9:30 to 11:30am & 6:30 to 8:30pm; Family Easter Craft & Cookies at Southland Leisure Centre. Make some Easter crafts for your family and friends, and enjoy some light refreshments. March 23, 10am to 12Noon; Free Children’s Nature Program – Wonders of Devonian Gardens. Bring the kids for an exciting morning of learning and exploration at The City of Calgary’s free, drop-in nature program! Young explorers will learn about fish, plants, bugs and more through games, crafts and stories. Themes will include Fancy Fish, Plant Power, Secret Lives of Lady Bugs and Shapes in Nature. No day camp, day care or home school groups larger than five children, please. For ages 3 to 12 (and must be accompanied by an adult). This free program runs on Wednesdays until April 27. March 26, 10am to 4pm; Bowness Spring Craft Fair and Easter Eggstravaganza. The Spring Craft Fair takes place at the Bowness Community Centre Main Hall from 10am to 4pm. Easter Eggstravaganza takes place throughout the Centre including an Easter Egg Hunt and crafts from 11am to 3 pm. And there is free skating from 11am to 3pm with skates and helmets provided by the Kidsport Skate Shack. For more information, visit the website. This entry was posted in Uncategorized on March 15, 2016 by Calgary's Child. Looking for a fun day out for your family now that the fun part of February is over? Never fear, Calgary’s Child is here! We’ve got a whole bunch of suggestions to get you out of the house and enjoying all that the season has to offer. Check website for schedule of events. Canmore Winter Carnival. This year’s event will be the biggest and the best yet! Two World Cup events will be part of the carnival along with 45 days of events including ice carving, snow sculpting and the popular Kid ‘n’ Mutt races, plus more! Everyday from Feb 22, 2016 – Feb 28, 2016 at 8:00 am – 9:00 pm. The Reel Fun Film Festival continues to delight with a list full of fun films for kids aged 1 to 101! The variety of films scheduled this year is remarkable from comedies to documentaries – come and see for yourself! And don’t forget about the Reely Fun Film Day on Saturday, February 27 with interactive workshops to take the action from the screen right into your hands! For more information, visit the website. Check website for hours. Experience a Ride Through Time with this vintage motorbike exhibit on display in Gasoline Alley Museum. Learn all about the history of biking in Alberta through this family-friendly exhibit featuring hands-on activities and a little something for everyone. For more information, visit the website. Participating cafés and restaurants create delicious and unique signature Hot Chocolate to support Calgary Meals on Wheels. Customer votes decide which drink will win the coveted title of “Calgary’s Best Hot Chocolate” and each rating entered gives customers a chance to win prizes throughout the month! TELUS Spark Material of the Season: Paper. Join daily in the Creative Kids Museum for programs and a variety of hands-on activities, perfect for families with children ages 8 and under and their caregivers. Would you rather build a tower using tissue paper or cardboard? Even though these materials seem very different, they have a lot in common! For more information, visit the website. A rare glimpse into the everyday life of 1890s Calgary is presented with little seen historical images of early neighborhoods and people. Guest curated by Peter Duthie, founder of Folio Gallery, former Exposure Photography Festival Chair and educator. Daily until March (as conditions permit). Waddle in for a visit! The gentoo penguins may be the fastest swimmers, but the king penguins know how to get around too – in wintry weather they like to take their keepers for walkabouts around the zoo grounds. Every morning at 11am, keep pace with the king penguins during their outings. Any cancellations of the walk due to poor weather will be posted on the Zoo website and social media channels at 10am the morning of. To purchase tickets, visit the website. Wipe away those winter blues! Grab your skates and head down to Bowness, Carburn or Prince’s Island Park this winter for The City of Calgary’s free Skate in Nature program. Enjoy some fresh air with family and friends, get toasty by the fire, and learn how local plants and animals adapt to the cold weather with some fun nature activities. Program runs from December through February and will be weather dependent. Visit calgary.ca/parks for program dates and times. One of the world’s most groundbreaking exhibitions is coming to TELUS Spark. BODY WORLDS Vital is your opportunity to see, first-hand, the connection between body and movement. Understand the impact that healthy choices and lifestyle changes have on our physical body and wel-lbeing through this amazing exhibition. This entry was posted in Uncategorized on February 18, 2016 by Calgary's Child. 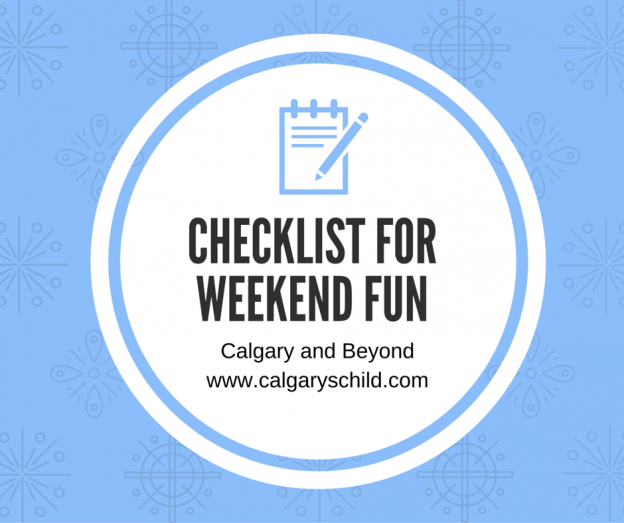 Looking for something fun to do with the family this weekend? Look no further – we’ve got the best picks of what’s up in Calgary! February 13 at Carburn Park, 11am to 3pm; February 14 at Prince’s Island Park, 11am to 3pm; and February 15 at Devonian Gardens, 11am to 3pm. We Are Family Drop-In Days with The City of Calgary Parks. Celebrate the Family Day weekend in nature! Bring the family down to one of the city’s beautiful outdoor rinks for some fresh air, ice-skating and fireside nature activities. If you prefer an indoor celebration, join at Devonian Gardens where there will be lots of family-friendly entertainment including nature-themed games, fun crafts and cool animal artefacts. The whole family is welcome to a special Family Day Weekend Climbing (Indoor Rock Climbing) and Gymnastics Drop-in! This entry was posted in Uncategorized on February 11, 2016 by Calgary's Child. Wonders of Devonian Gardens – Free Children’s Nature Program. Wednesdays, from February 3 to April 27. Bring the kids for an exciting morning of learning and exploration at The City of Calgary’s free, drop-in nature program! Young explorers will learn about fish, plants, bugs and more through games, crafts and stories. Themes will include Fancy Fish, Plant Power, Secret Lives of Lady Bugs and Shapes in Nature. Topics will rotate on a weekly basis. Note: No day camp, day care or home school groups larger than five children, please. For ages 3 to 12 (must be accompanied by an adult). Herein We Dwell: Unexpected Images of Calgary in the 1890s. Everyday from Feb 3, 2016 – May 29, 2016 at 11:00 am – 4:00 pm. A rare glimpse into the everyday life of 1890s Calgary is presented with little seen historical images of early neighborhoods and people. Guest curated by Peter Duthie, founder of Folio Gallery, former Exposure Photography Festival Chair and educator. Feb. 5 to 20 – StoryBook Theatre Presents, Lord of the Flies. Everyday from Feb 5, 2016 – Feb 20, 2016 at 12:00 am – 12:00 am. February 5 to 20. Tuesday to Saturday shows are at 7pm. Saturday and Sunday shows are at 2pm. Wednesday and Thursday shows are at 12:30pm. StoryBook Theatre Presents, Lord of the Flies. Lord of the Flies is based on the 1954 dystopian novel by Nobel prize-winning English author William Golding about a group of British boys stuck on an uninhabited island who try to govern themselves with disastrous results. For ages 10+. This production is not suitable for sensitive children. Parents should research the original novel before deciding to attend this production. For more information and to purchase tickets, visit the website. Opening Reception to Herein We Dwell: Unexpected Images of Calgary in the 1890s. Friday Feb 5, 2016 at 5:30 pm – 7:30 pm. A rare glimpse into the everyday life of 1890s Calgary is presented with little seen historical images of early neighborhoods and people. Join in celebrating the opening of Herein We Dwell: Unexpected Images of Calgary in the 1890s. Free event. Cash bar available. RSVP to jgunst@lougheedhouse.com or call 403-244-6333, Ext. 103. Feb. 6 to Apr. 24 – Vintage Motorcycle Exhibit at Heritage Park Historical Village. Everyday from Feb 6, 2016 – Apr 24, 2016 at 12:00 am – 12:00 am. February 6 to April 24; check website for hours. Experience a Ride Through Time with this vintage motorbike exhibit on display in Gasoline Alley Museum. Learn all about the history of biking in Alberta through this family-friendly exhibit featuring hands-on activities and a little something for everyone. For more information, visit the website. Saturday Feb 6, 2016 at 11:00 am – 3:00 pm Youth Forum Culture Fest 2016. This Youth Forum will have interactive booths led by multiple community partners and CIWA programs. The event is free and promises to be full of fun activities, performances, raffle prizes and an inspiring keynote address! Cineplex Family Favourites – Zathura. Wildwood 2016 Lego Building Contest. Everyday from Feb 6, 2016 – Feb 7, 2016 at 12:00 pm – 12:00 pm You are invited to enter the Wildwood 2016 Lego Contest. The contest is open to kids and adults. Please drop off your completed creations at the Drop-Off on Saturday, February 6 from 4 to 6pm. Then come out to the viewing on Sunday, February 7 from 1 to 3pm to see all the amazing creations. There will be an awards ceremony at 3pm and the draw for the raffle prize. Loose Moose Theatre for Kids Presents, Snow White. Saturdays and Sundays from January 30 to February 21. Saturdays shows at 1pm and Sundays shows are at 1pm and 3pm. Loose Moose Theatre For Kids Presents, Snow White! To purchase tickets, call 403-265-5682 or visit the website. Feb. 6 & 7 – Elska: Middle of Nowhere. Calgary Pro Musica Presents, Marita and Her Heart’s Desire.Sunday Feb 7, 2016 at 1:00 pm – 3:00 pm There are 2 showtimes: 1 to 3pm and 3:30 to 5pm. Marita and Her Heart’s Desire is a magical, mysterious and funny story of a little girl who believes the moon can grant her heart’s desire. She sets off to talk to the moon, which Marita thinks is sitting right on the roof of Harper’s Department Store. On her way, she is joined by a slinky cat, a no-nonsense rat, a jaunty dog and a helpful mouse, all of whom want their hearts’ desires too. The story is told through music and is performed by Canadian superstar violinist, Scott St. John and an ensemble of Calgary’s finest musicians Program also includes Ferdinand the Bull by Alan Ridout for violin and narrator. Come early to visit the craft room and other activities one hour before each show. Recommended for kids aged 5 to 12 but created with the entire family in mind. Stay after for free cookies and juice. Weekends from Jan. 30 to Feb. 21 – Loose Moose Theatre for Kids Presents, Snow White. Violinist Scott St. John brings musical fairytales to life. Marita and Her Heart’s Desire is a magical, mysterious and funny story of a little girl who believes the moon can grant her heart’s desire. Come early to visit the craft room and other activities one hour before each show. Recommended for children ages 5 to 12, but created with the entire family in mind. Stay after for free cookies and juice! Completed in 1707, Handel’s Dixit Dominus (pronounced “dee-kzeet doh-mee-noos”) contains some of his most thrilling and hauntingly beautiful choral music. A co-production with the Red Deer Symphony Orchestra, VoiceScapes and guest singers, this performance will be on period instruments (based on those from Handel’s time). Also on the programme are Handel’s Concerto Grosso, Op. 2 and his Nisi Dominus, another seldome-heard gem for choir. The pre-concert talk will take place at 7:30 p.m. and the concert will start at 8:00 p.m.
Come in out of the cold for a night of skating with your family. Bring your skates and helmets. Loaner skates and helmets are available on a first come, first served basis. This is a free event! Family Valentine’s Crafts and Cookies at Southland Leisure Centre. Tuesday Feb 9, 2016 at 9:30 am – 11:30 am. Two times available to attend: 9:30 to 11:30am & 6:30 to 8:30pm. Celebrate family month and Valentine’s at Southland! Make some Valentine’s crafts for your family and friends, and enjoy some light refreshments. This is a free event! Feb. 11 to 15 – Family Quest at Heritage Park Historical Village. This entry was posted in Uncategorized on January 29, 2016 by Calgary's Child. The news coming out of Paris in November felt shocking, scary and sad. Since that time, many parents have asked for our take on the best way to discuss these kinds of situations with their children. Wanting to do the right thing, and not knowing quite what to say, some parents have shifted the subject and decided not to say much. At Parenting Power, we believe that kids really need the family to feel like a safe place when the world at large feels scary. The root word of courage is “coeur” or heart. Love is the strength we need when we feel fear. As parents, we really can help our kids to feel that love and strength in scary times. There were some scary things on TV. Thankfully, our family is safe and there are lots of people trying to help. Have you been talking about world events at school? What have you heard about the event? How are you feeling about the situation? When we start with a question, we have the opportunity to find out what our kids know, to correct misinformation and then to have a discussion. This is a great time to check in with the family and decide what is truly important to your family. Fear is often linked to a feeling of powerlessness. When we talk about these scary things with our kids, we get to talk about our values and beliefs. These feel concrete and safe. In addition, we can give our kids a feeling of power (how we can effect change) by figuring out what our family will do in the face of this situation. How will we make today feel better? How can we show respect for all human beings? The reality is this: if we don’t quite understand what is happening, how can we expect our kids to make sense of it? They need to know that they have a safe place to ask questions and that the family will face the adversity as a team. This entry was posted in Uncategorized on January 19, 2016 by Calgary's Child. We’ve got the best family-friendly events for you to enjoy this New Year’s Eve, starting at 9am and going right through until midnight! No matter your family’s age and stage, we have an event for everyone to enjoy. From Calgary and other locations south of Airdrie, take Deerfoot Trail and Hwy. 2 to the third Airdrie exit (Veteran’s Boulevard). Stay left on the exit and travel west about 1 kilometre, while moving to the inside (left) lane. Turn left at the traffic signals at Main Street, then travel 2.7 km south, and turn right into Nose Creek Park. 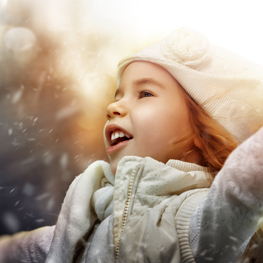 Join at the Okotoks Recreation Centre for free family fun and activities to celebrate ringing in 2016! Don’t forget to find a spot around town to watch the fireworks, being set off from Lineham Park at 7pm! This entry was posted in Uncategorized on December 26, 2015 by Calgary's Child. From print, to television, radio and online Calgary’s Child is everywhere you need us to be. Now we are testing the waters for a new format, one you can listen to any time and anywhere you have an internet connection. On our first episode host Christina Roswell chats with Patty Kilgallon, the chief Executive Office with The Children’s Cottage Society. They are dedicated to preventing harm and neglect to children and to build strong families through support services. The Children’s Cottage is a recognized leader in providing effective programs and services to help ensure Safe Children in Healthy Families. We also sit down with Tammy Johnston, a financial advisor and author of A Financial Foundations Story. Johnston takes a holistic approach to working with their clients. Tammy came up with the concept of Financial Foundations. Plus, Ellen Percival, publisher of Calgary’s Child Magazine takes us through the do’s and don’ts of the perfect picture with Santa. We hope you enjoy our first podcast and we look forward to hearing your feedback! This entry was posted in Christmas and tagged Christina Rowsell, Podcast on December 15, 2015 by Calgary's Child. It’s winter break…. or maybe it’s a snow day. Whatever it is, the kids are home from school, you’re broke and they’re driving you a little crazy. Besides begging a relative to take them for a few hours, what can you do to entertain and enjoy your kids when it’s cold outside and you’re stuck indoors? 1. Encourage the budding movie maker – Have the kids write, act, and produce their own mini-movie. Most still digital cameras have the ability to record short movie clips if you don’t have a video camera of some sort – you can always record the “movie” in short segments and then piece it together with Windows Movie Maker (or the equivalent) on the computer, later. If your kids are a little too young to come up with their own screenplay from scratch, have them act out a scene from their favorite book, television show or movie and encourage them to create a new ending. 2. Soda bottle bowling – Raid the recyclable bin for empty plastic soda bottles. Set them up like bowling pins on one end of your living room, hallway or in the basement, and roll a ball at them like you’re bowling. You can make the game more challenging by adding some water to the bottom of the soda bottles (if you still have the caps!) or by bowling blindfolded. 3. An “Unbirthday” – Take a clue from Alice in Wonderland and celebrate your child’s Merry UnBirthday! Bake and decorate a cake, blow up some balloons if you’ve got them, and have the other children create gifts (drawings, play doh masterpieces, etc) to give. To prevent any issues and arguments, let everyone take a turn in the “unbirthday” role and receive gifts from the other siblings. 4. Bottle cap Shuffleboard – Create a triangle on the end of the kitchen table out of masking or painter’s tape, and create 3 sections: the tip of the triangle is worth 30 points, the center is worth 20 points, and the larger base of the triangle is worth 10 points. On the other end of the kitchen table, place a piece of tape to create the push-off line. Use bottle caps (4 per player, and mark with stickers or paint to determine who the caps belong to) and push them so they slide from the push-off line toward the triangle. Players can push another player’s cap off the triangle (or even off the table!) and the winner is the person who reaches 200 points first. 5. Classic card games – Often forgotten in a world of technology, classic card games like “Go Fish”, “Crazy 8’s”, and the “Old Maid” can be played with a standard deck of cards. Introduce your children to the games you used to play. 6. Photographic memory – Everyone looks at the same photo for 30 seconds. Remove the photo and write down as much as you can remember about the photo. Person with the longest list of items that are really in the photo wins. 7. Animate a stick figure – Find a pad of paper or a post-it pack. Start in one corner of the page and draw a stick figure. Lift up the page and draw the same figure on the next page, but move an arm or leg just slightly, and continue on each page of the pack. On each page, you’ll draw your stick figure just positioned a little differently. When you flip the pages with your thumb, you’ll have an animated stick figure! 8. Walk on stilts – Turn two coffee cans (or plastic containers, as they tend to be these days) upside down so the lids are on the bottom. Poke a hole through the center of the can from the top. Thread a piece of rope into the hole and tie a knot inside the can. Make the rope long enough so that when the child stands on the can, they can hang onto the ropes while walking with the cans as their stilts! 9. Group story – You can do this on paper, or use a recorder to tell the story out loud. Have each person sit in a line and take turns telling a small part of a made-up story. The first person in line starts the story and stops after a specific period of time. The next person in line picks up where the first left off, continuing the story. You can write it down and the read it aloud, or record it with a tape player or digital recorder and listen to it when you’re finished. It’s sure to get a few laughs! 10. Indoor bubbles – Who says you can’t play with bubbles indoors? Put two drops of dish detergent in the center of a plate and add a few drops of water. Give the kids a straw, and let them blow bubbles on the plate. You may want to give your child traditional bubbles and a bubble wand and let him or her blow bubbles in the bathtub. 11. Build an indoor “snow” fort – For some reason, kids love to build forts. Give them some blankets to hang on the back of chairs, couches and other items to hide underneath. Give each child a box or bag of crumpled up newspaper “snow balls” and let them have an indoor snow fight. Forts are great for playing house, or any number of activities active imaginations can drum up. 12. Card towers – Get out a deck or cards (or several) and use them to build a tower. Lean one card against another, creating a triangle with the table top or floor. Create a second triangle a couple inches to the left or right of your first one, and connect the two with a card laying flat over top. See how tall you can make your tower – either with all children on the same team, or as a competition. 13. Blindfolded penny hunt – Clear a room of breakables or anything that could hurt a child if they bumped into it. Blindfold each child and give them a paper bag or small container. Scatter a bunch of pennies around the floor and set them loose crawling around for pennies. The person who gathers the most pennies wins. 14. Marble race – You need an empty toilet paper or paper towel tube for each child and a marble or small bouncing ball for each. (Keep an eye on the little ones!) Create a finish line with some masking tape on the floor or table, and position the kids on the other end with their cardboard tubes and marbles. Send the marble or ball through the tube launcher and see who crosses the finish line first. 15. Count and roll the change – If you’ve got piggy banks and buckets of change around the house, give the kids the task of counting them and rolling them. You can deposit their rolled change into their banks on your next trip to the bank, or let them buy something with their rolled money. 16. Floating pasta toss – You know the carnival game where you throw lightweight plastic balls at a stack of fishbowls? Try the kitchen version: fill a casserole dish or roasting pan with water. Use a permanent marker to write some numbers on the inside of plastic lids (soda bottle lids, juice bottle lids, margarine containers, etc). The numbers become point values for keeping score. Give each child a few pieces of pasta which they can color with a marker (different color for each child) and let them stand near the floating targets and toss their pasta in to earn points. 17. Micro golf – You’ve heard of mini golf? In the micro version, you’ll be putting with popsicle sticks (or unsharpened pencils) and sending a marble into the holes. First, create your micro golf course: lay a cardboard box on it’s side and create a few holes in a few different places just large enough for the marbles to drop into. You could use more than one box and build ramps with additional cardboard or the kid’s train tracks if you’re really feeling creative! Set up obstacles on your micro golf course with blocks, toilet paper tubes, and other toys around the house. Next, create your “putters” with your popsicle stick or unsharpened pencil, and add a piece of foam or cardboard to the end to make the putter head. Finally, let the games begin! See who can get their marbles into the holes with the shortest number of putts. 18. Pillowcase races – Most of us don’t have potato sacks around the house, but you can probably dig out some older pillowcases. Have each child stand in a pillowcase at the starting line and hang on to the opening. Whoever hops over the finish line first wins. 20. Make a tornado in a bottle – In a plastic soda bottle, fill it three quarters of the way full with water and add a couple drops of food coloring. Place an inverted soda bottle on top of the first bottle, so their openings line up. Wind the bottle necks tightly with tape to secure them with a water-tight seal. Hold the bottles with two hands and swirl the water in a circular motion, flip upside down and set it on the table to watch what happens. For more tips and information, please visit destroydebt.com, an online community which helps people manage and reduce debt. This entry was posted in Uncategorized on December 7, 2015 by Calgary's Child.